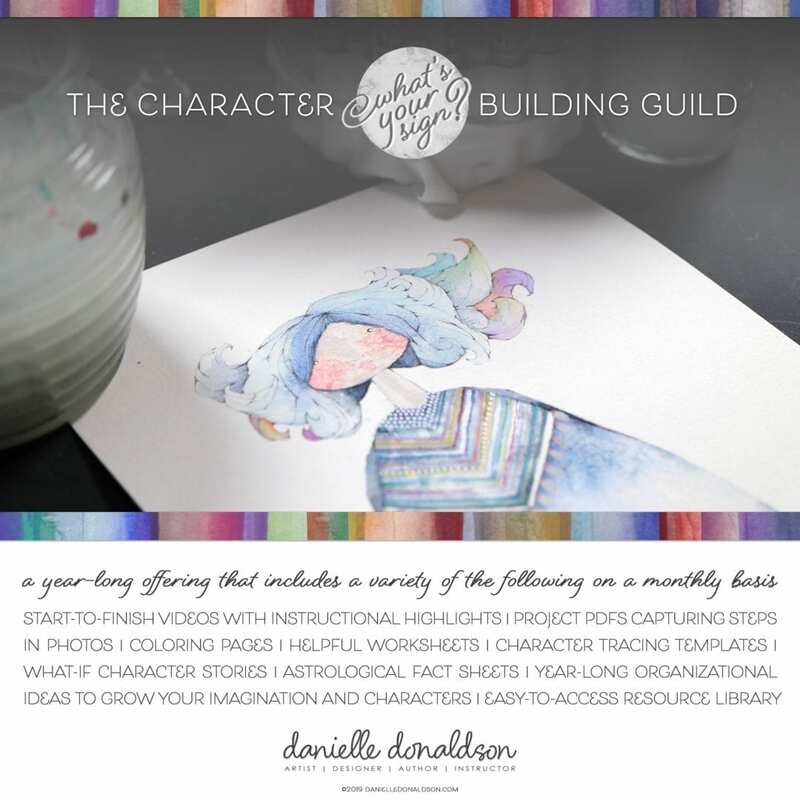 This course includes a resource library and 12 lessons (lessons are available on the third Thursday of each month at 9 PM PST) in GUILD classroom. Signing up mid-year? No worries! Previous monthly lessons are open and waiting for you! easy-to-access resource library | this library contains so much stuff! book links, favorite artists to inspire you, supplies that you’ll need, and so much more! it is a plethora of goodness – all in one place and just for you! start-to-finish videos with instructional highlights | the videos will be a little different for this course as compared to other courses on my site. why? because my character illustrations take several hours to create and require a steady hand and a focused brain (and creating while talking is way harder than it looks), the characters will be captured with a combination of time-lapse content and voice-over instruction for specific steps that require some additional explanation for you. this new process will allow for extended periods of filming and lots of amazing detail! Videos are NOT downloadable but available as long as I run this site. character tracing templates | yep – cut them or trace them – they are a starting point for you to try your hand at painting them and adding detail in lots of new ways! what-if character horoscopes | I’ll write and share a monthly fill-in-the-blank horoscope for each astrological sign – be sure to add your birthday when you check-out to receive it! astrological fact sheets | these are just for fun – a collection of things like crystals and colors, moods and flowers. it’s a great way to stir up new ideas! coloring pages* | need I say more? messages of encouragement* | maybe a pretty quote, possibly a little audio love, or perhaps a playlist to make you smile? PLEASE NOTE | the full course will NOT be included in additional discount opportunities/sales in 2019 – so don’t wait to join! Woot!